You mentioned that it supports Arabic, but I cannot find it. This latest update ruined the layout. The article headlines are cut short. Can’t tell what the article is about. The lettering in the top article in each section is cut in half. Used to be a decent app, now it’s horrible. 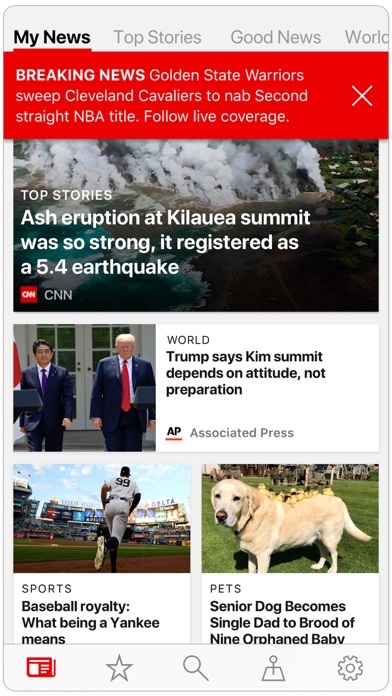 The very best news app there is. I have used them all, but this is now the very best one out there. The latest version allows you to select from three different views: the standard view, compact, or text only. This is really an exceptional feature. They have recently added a dark mode as well, which I quite like. 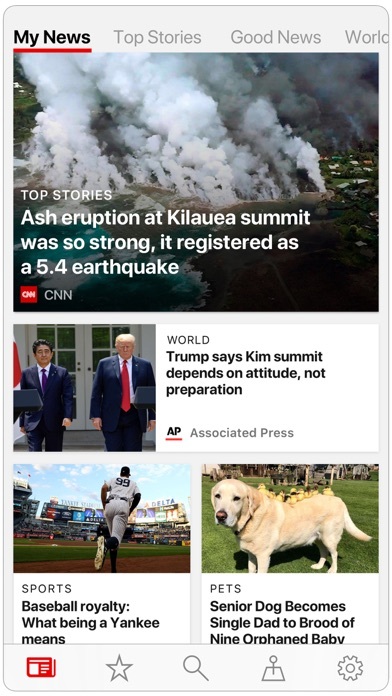 The strengths of this app is that it collects news from a wide variety of reputable sources, including both conservative and liberal perspectives. 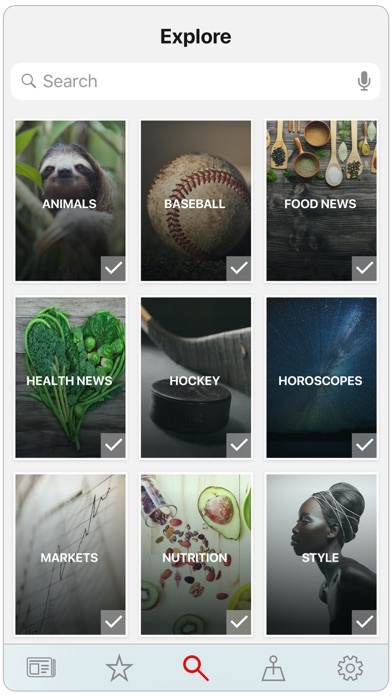 You can also add your own topics, and you can put everything in whichever order you prefer. You can scroll from article to article without having to go back to the main menu, and these articles will fill almost the entire screen. When you’ve read to the end of an article, you can swipe forward through headlines to skip articles you don’t want to read. That makes it easy to use and efficient on one’s time. Very nice. This app strikes the right balance between text and pictures for the top level menus. The pictures are helpful because they quickly identify what the topic is, but they are small enough to make scrolling quick and easy. The headlines are detailed enough to identify the topic as well. The scrolling both within and between articles is very smooth. The font in the individual articles is consistent throughout as opposed to mimicking the original source. Personally, I think this consistency is a plus. Text is in a clear, bold and easy to read type. (Size is adjustable, but only with three options.) Finally, it is reasonably uncluttered as far as advertisements ago, and that is always a big plus. There are advertisements, to be sure, but they are clearly marked “sponsored“, and when you are scrolling through the articles in order, they are skipped. The only way you see them is if you click on them from a top level category or inside an article. Typically, there is only one per category or article. This seems reasonable to me. 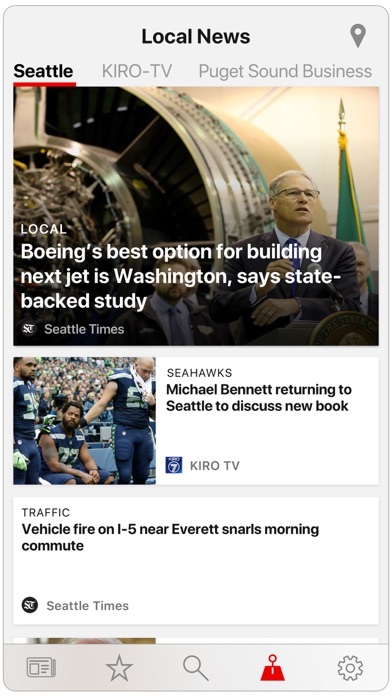 Overall, this latest revision is really well designed, and is now the very best news app available for those who are looking for reliable information from a variety of sources in a well-designed package, IMHO. Developers also appear to be reading the reviews, and responding to them when they can. This is my number one news app these days. Tip: When organizing your favorites, you will have to put your finger on the selection icon and hold it there for a second or two before you can move it. Another Tip: If you are really interested in international news, you can just change editions. For example, changing to the Canadian edition brings up a great selection of news from across the country within a couple of seconds, much more than you would see simply by adding it as a topic. Very impressive. One improvement: Having the ability to select news sources rather than just topics would be great, but given that there is a good range of perspectives included, I don’t think this undermines the five star rating. Second improvement: it would be nice to have the option to not have to see the “my news“ section or to place it where I want. Third improvement: they can eliminate either the top or bottom menu bars. There’s no need for more than one. This is bad. I guess the developers are on Spring break? Worked great until updating to the latest version. Now it will no longer open on any of my ios devices. Horrible QA check on the recent release. Total fail. New update does not work. 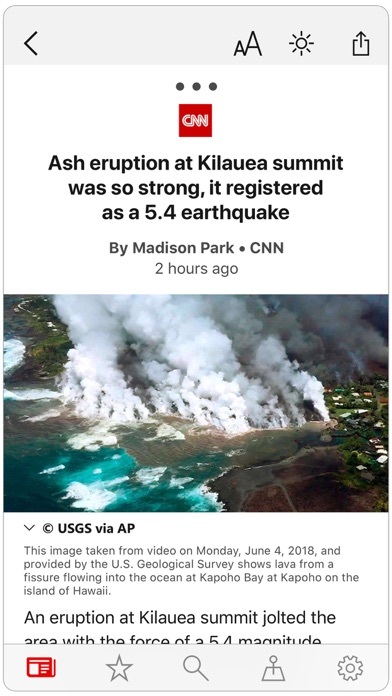 The latest update has now crippled the app to local news only. It’s a shame as I really like the good news feed.